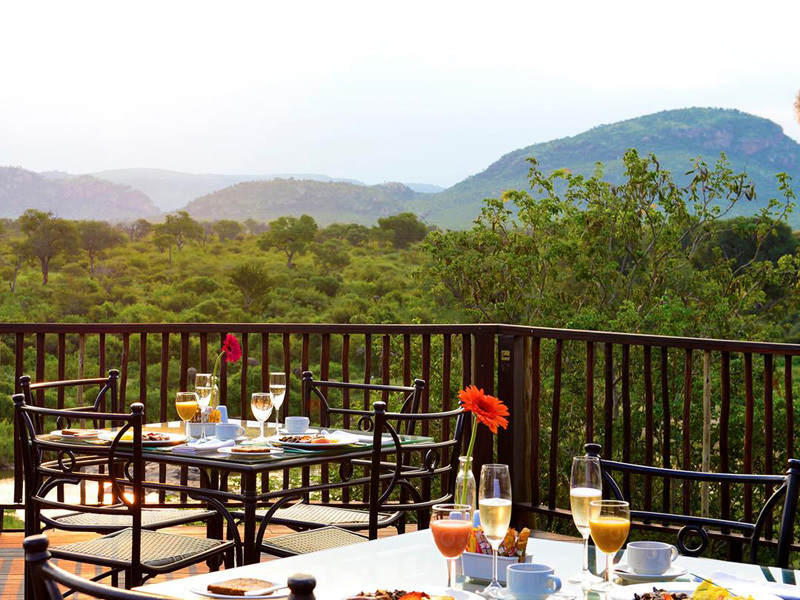 For a rewarding safari experience in South Africa’s famous Kruger National Park, look no further than the beautiful setting of the Pestana Kruger Lodge, a bush hotel that makes its claim to fame its hands-on management and sumptuous meat meals. 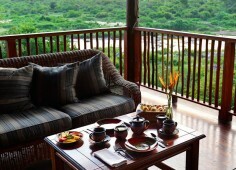 Find fabulous rooms all with fantastic views over the Crocodile River and pretty gardens. 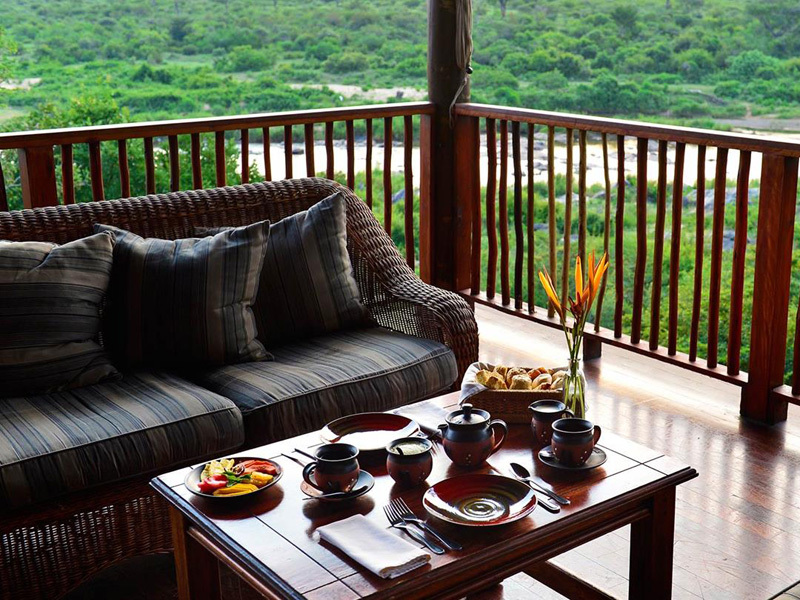 For some of the best game viewing and tours, stay at the Pestana Kruger Lodge and you are guaranteed daily sightings of the Big Five and plenty of other smaller animals and birds in their natural wild habitat. 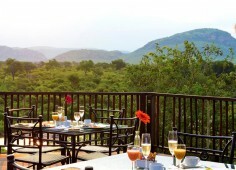 We like that fact that the Pestana Kruger is only 150 metres from the Kruger Park Malelane gate which means that guests can still watch wildlife saunter past their rooms down to the Crocodile River while they sip cocktails and dine on true South African cuisine in the Buhlebethu Restaurant. 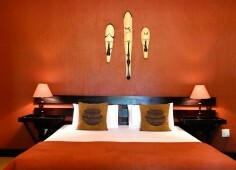 The a la Carte menu promises your tastebuds pleasant surprises as you choose venison dinners and warming stews for lunch. Enjoy the two sparkling blue swimming pools and the pampering Thulani Health spa for rejuvenating body massages and other therapies. This will relax you in between your drives into the Kruger National Park to find elephants, lions, leopard, buffalo and rhino. This renowned wildlife facility has more than 2 000km of roads and six rivers all providing water and shelter to a huge diversity of animals and plants. 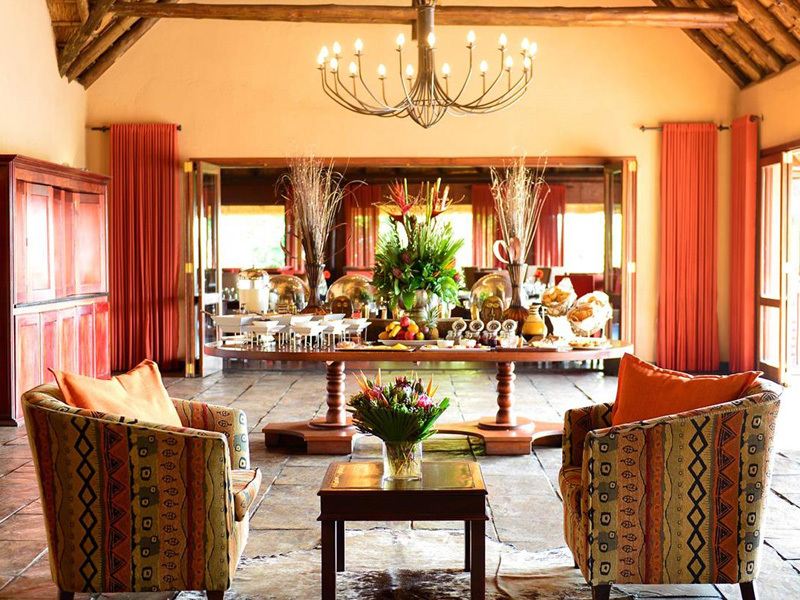 If you choose the exclusive Pestana Kruger Lodge, you will make the most of your Kruger experience and you will have the plus of luxury accommodation and facilities for your daily use. Stay in one of 74 rooms decorated in true South African style with their private balconies allowing guests to game view in their own privacy. 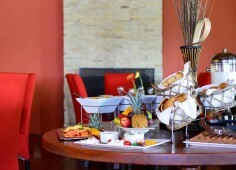 Mod cons include air-conditioning, Satellite TV, and comfy beds in your en-suite room then head to the Buhlebethu restaurant for drinks and delicious food. 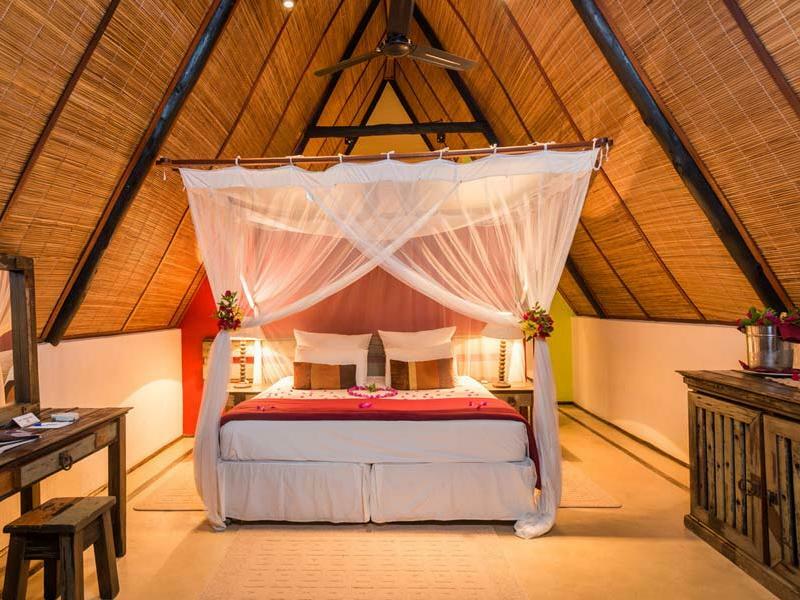 This is definitely the place to take your whole family – the 30 family rooms are large, with garden views, king size beds, sleeper couches, tea and coffee making facilities, mini bars and bathtubs. 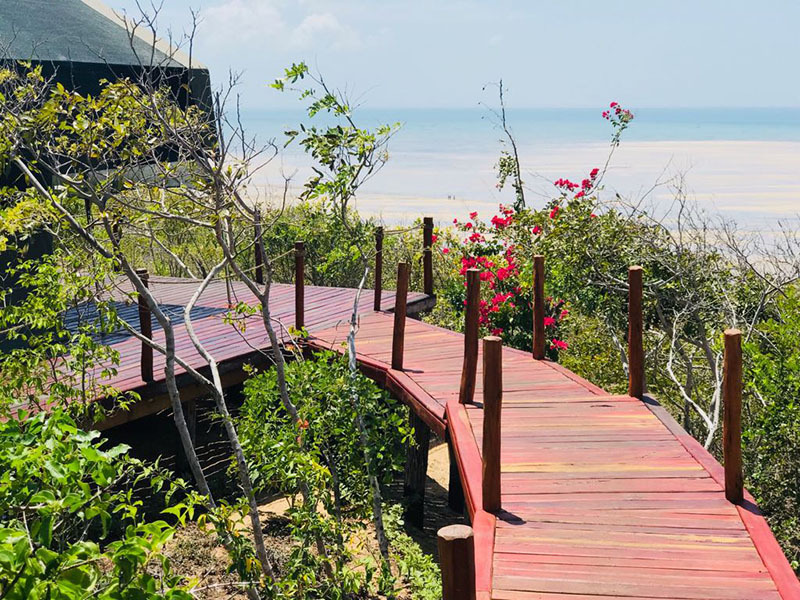 The kids will love going into the Boma with you at night when the stars are shining in the dark sky and you get to eat campfire style around the roaring bonfire. Share your bush stories with new friends as you dine on succulent venison steaks. 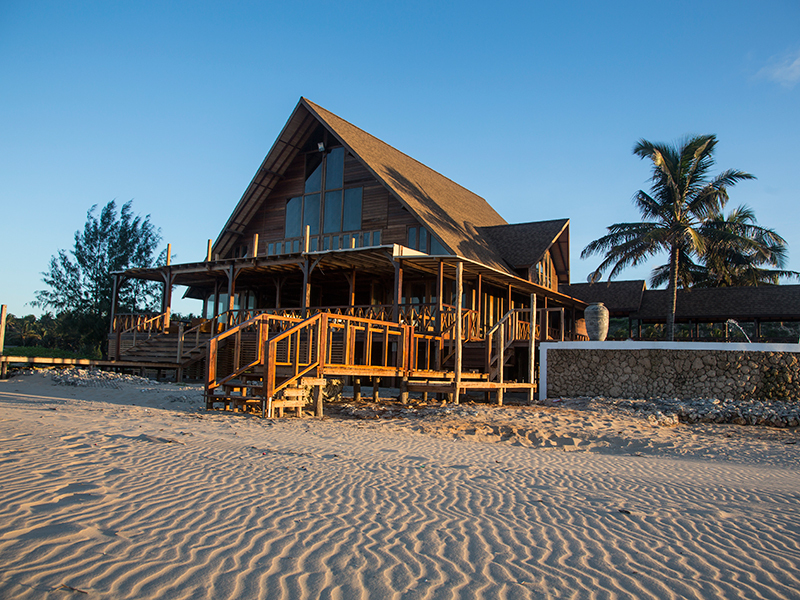 Sip a night cap later at the Eshonalanga Bar. For conferences and functions such as weddings, book your event at the lodge’s well-equipped conference rooms which can accommodate up to 150 delegates in various seating arrangements. 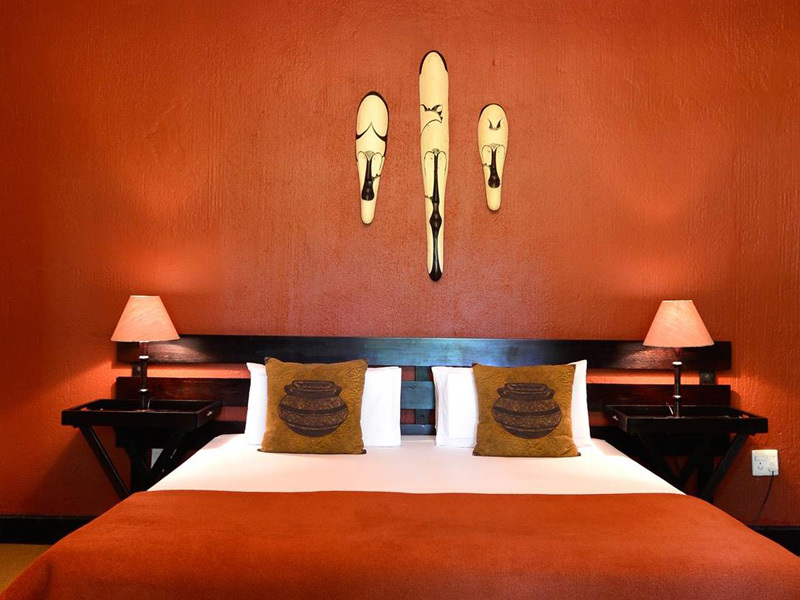 The 4 rooms are named after different antelope in the park and are popular venues for team building exercises, smaller seminars and large conferences which can be split up. 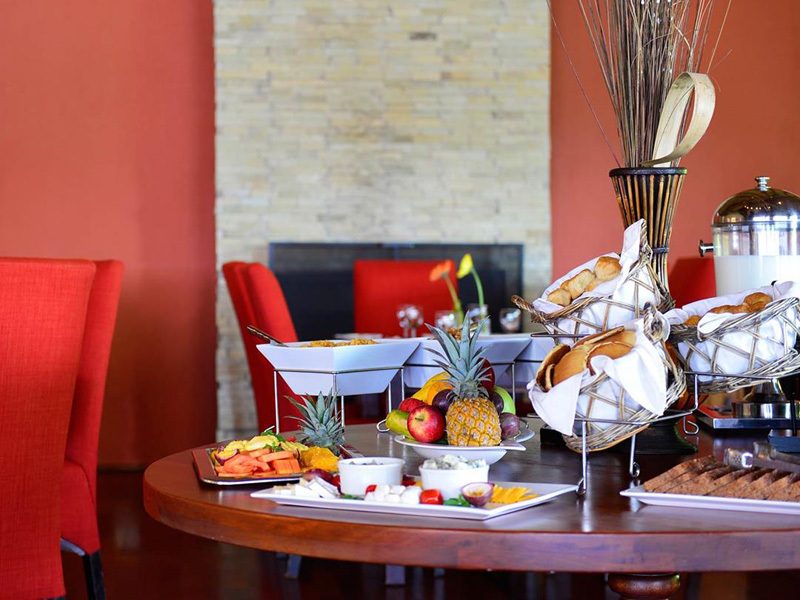 Contact the Pestana Kruger for your wedding plans and the hotel will remove all the stress from your Big Day! 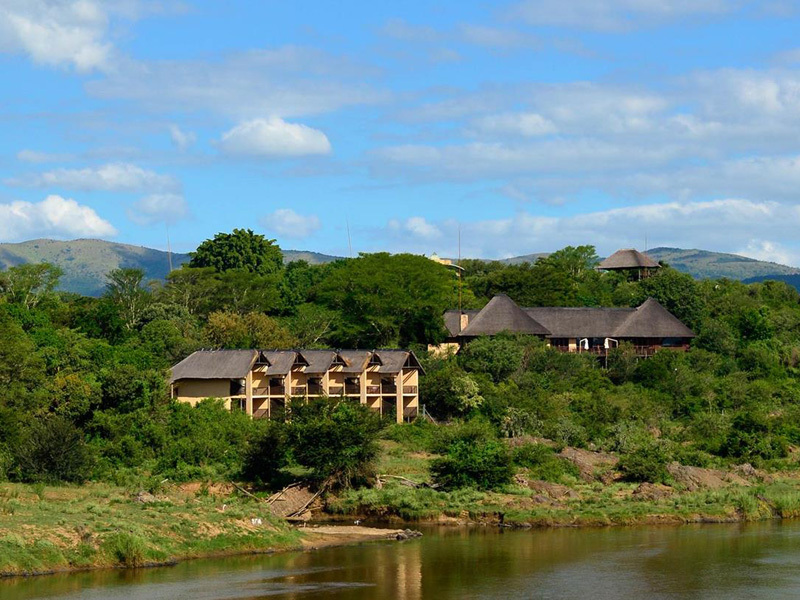 Book a tour of your fancy from the front desk – the lodge is only one hour from Swaziland and close to the Mpumalanga Panorama Route. 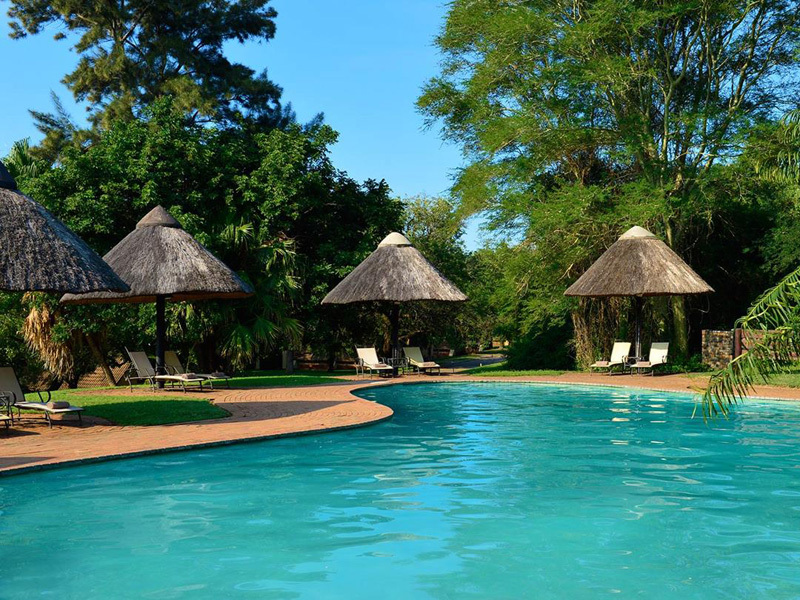 Go shopping in Nelspruit, a mere 45 minutes’ drive or simply sit at the swimming pool and watch the birds flit around you.Contact one of our expert travel agents today to secure your holiday at the Pestana Kruger Lodge to enjoy a safari in style. 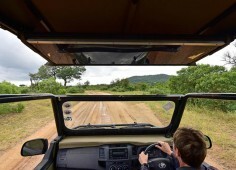 Guests can easily access Pestana Kruger Lodge either by road or by air. Flights are available from OR Tambo International Airport to Kruger Mpumalanga International Airport (KMIA). 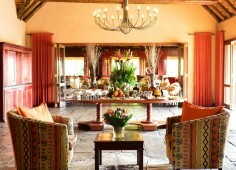 Guests can easily drive from Johannesburg to Pestana Kruger Lodge Safari and Spa Resort. From Johannesburg, take the N12 Witbank Road which will turn into the N4. Continue along the N4 through Nelspruit and the town of Malelate. About 6km (3.7 miles) after the Malelane sign board, turn left onto the R570 towards the Kruger National Park. Travel along the R570 for about 3km (1.8) miles. 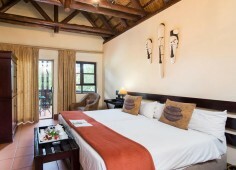 Pestana Kruger Lodge Safari and Spa Resort is situated on the left hand side. 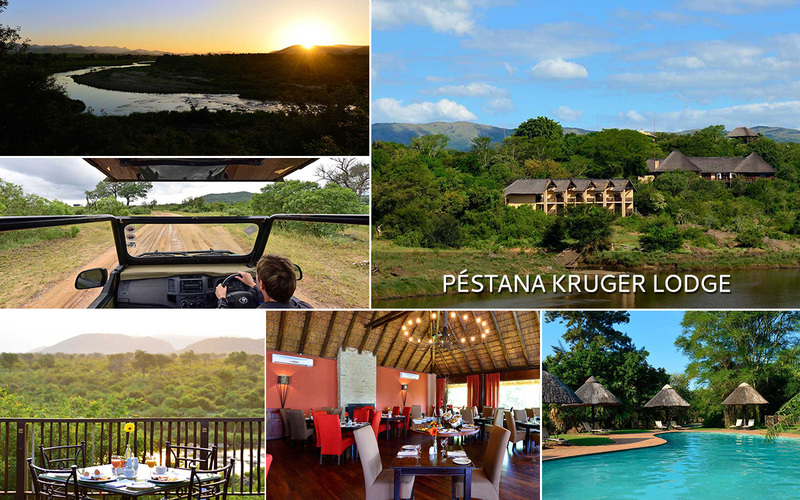 Pestana Kruger Lodge is located on the Nkomazi Tourist Route. 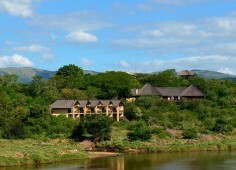 Fantastic view over the Crocodile River where hippos and other wildlife around.